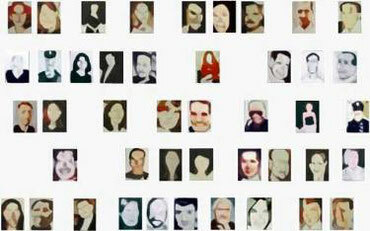 Portraits of the victims of 9/11. My sister worked for a compay that had rented office space in the World Tarde Center. We were lucky because she worked in one of the offices in Brooklyn. The Portraits are blurry. Therefore you can see your sister, your brother, your neighbor or you, yourself... Anyone could have been a victim of 9/11.